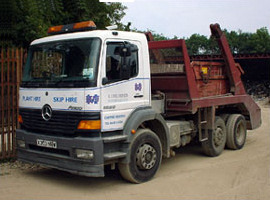 Our extensive range of skips allows us to have right skip for the job and our experienced staff are more than happy to discuss your requirements. Available Sizes… Scroll down for our size guide! We pride ourselves on offering you a bespoke service, tailored to your needs. The maximum hire period for our skips is 4 weeks but we do allow longer periods by negotiation. Skips need to stand on private property otherwise a road permit will be required. For times when skips cannot be placed on the highway or the rubbish is ready to load, a wait and load is the perfect solution. The skip is dropped and filled straight away by the customer, when the skip is full it is taken away. No hassle, no clogging up driveways, just wait and load. 20-30 Household bin bags. 2 Tons soil. 30-40 Household bin bags. 4 Tons soil. 40-60 Household bin bags. 6 Tons soils. Large house clearances, commercial waste, no excavation waste. Large house clearances, large commercial projects, no excavation waste. 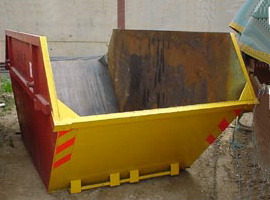 This skip is a robust container, ideal for larger sites. This skip is used for heavy mixed waste or onsite segregation of material. We need 60 feet in a straight line to deliver/collect this container. This container is similar to a 20 yard skip, but with extra capacity. It is ideal for collecting lighter, bulky mixed wastes from large sites. We need 60 feet in a straight line to deliver/collect this container. Please feel free to contact us and discuss all of your skip hire needs with our staff.